Op 19 september organiseert de vakgroep sociaal werk en sociale pedagogiek een lezing van Walter Lorenz onder de titel ‘Social work research and accountable practice: challenging dogma in uncertain times’. In this public lecture, a critique of the prevailing fascination with positivist models of research is offered by analyzing the social policy background against which this development has to be seen. In the context of the notable strengthening of the academic grounding of social work, the consolidation of the identity of social work research is indeed particularly susceptible to social policy influences. By analyzing the dynamics of the close relationship between social policies and social work in several research projects, Lorenz argues that the conditions of a theoretical engagement with contemporary social policy developments should be determined with much greater clarity. A critical normative approach to social work research is proposed, which includes a thorough awareness of and reaction to political conditions which cannot be divorced from social work research projects and subjects. Walter Lorenz was Professor for Applied Social Science at the Free University of Bozen/Bolzano in Northern Italy from 2001-2017, where he coordinated a professional social work programme and has been Principal of the same university for 8 years. A native of Germany, he qualified as a social worker at the London School of Economics and practised this profession in East London before taking up a teaching position at University College, Cork in Ireland in 1978 where he became Jean Monnet Professor in 1995. 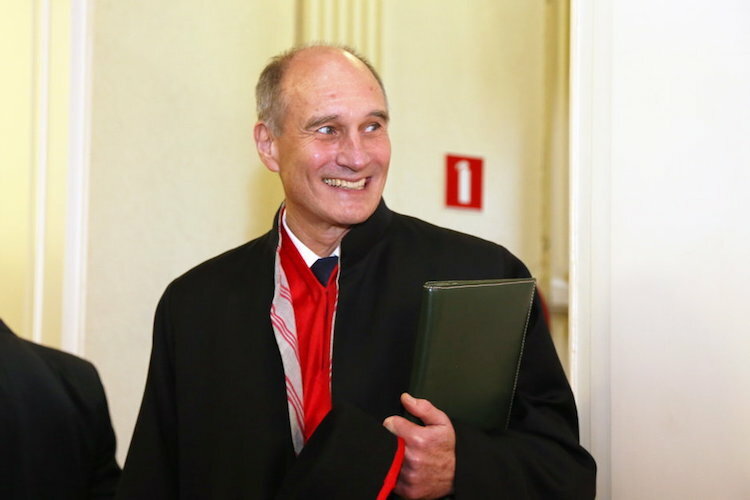 He is now visiting professor at Charles University, Prague. His research interests include intercultural pedagogy, social pedagogy, comparative aspects of social work and social policy in Europe and quality standards in social services. Wanneer? : woensdag 19 september 2018 van 10.00 u. tot 12.00 u.
Meer informatie en inschrijven via de website van de Universiteit Gent.